Described by peers as innovative, results-oriented and insightful, Kimberly Gerber shares more than two decades of experience leading Fortune 500 companies, C-level executives, millennial and high-potential employee towards real results. Kimberly designs and leads popular coaching and communication skill training program that help participants master the art of communication. These programs include intensive hands-on workshops, presentations, round-table discussions and practical exercise. Kimberly is proud to play a key role in the company’s continued success and exceptional 98 percent client rehire and retention rate. Kimberly’s core business philosophies have guided her through a rewarding career, which includes roles as Marketing Director of Starbucks Coffee and Fleetwood Enterprises. In these roles she managed brand communications, lead national advertising an public relations campaigns and had P&L responsibility in excess of $20MM annually. Under Kimberly’s leadership, Starbucks launched its first mobile store, which revolutionized the Frappuccino business in key markets and results in hundreds of millions of dollars in new revenue. Today, Kimberly applies her unique talents to help client’s accelerate their own results by helping them think, act and behave more strategically. Kimberly also brings the power of effective communication to podiums across the country as a motivating and empowering public speaker. With the ability to speak on a variety of topics related to interpersonal and transformational communication, Kimberly is among the region’s highly sought after and acclaimed key-note speaker, consistently leaving attendees feeling energized, inspired and empowered. Kimberly Holds a B.A. in Marketing and Public Communication from SUNY Buffalo and had completed Graduate studies in Public Communication at SDSU. A life-long learner, Kimberly holds executive coaching certification from ICF Accredited Newfield Network and a Mediation Certification for the Los Angeles County Bar Association. Kimberly lives in Irvine, CA with her husband and three children. Annie Kao, P.E. is a field engineering supervisor for Simpson Strong-Tie, where she has been connecting with and educating engineers, architects, building officials, and contractors on design and product solutions for residential and commercial construction for over 15 years. Prior to joining Simpson Strong-Tie, she worked as a structural engineering consultant for retail, hospital, school and multi-family projects. Annie serves on the Structural Engineers Assocaiton of Southern California (SEAOSC) Board of Directors as well as on state and national committees. She is a registered professional engineer in California and earned her B.S. from Harvey Mudd College and her M.S. from UC Berkeley. With over nineteen years of experience in the architecture and construction industry, Jo-E Lopez serves as Vice President and Partner, for Snyder Langston. Snyder Langston is an Irvine-based trusted construction advisor to Fortune 500, mid-size and start-up companies. The firm is one of Southern California's largest and most respected builders since 1959. 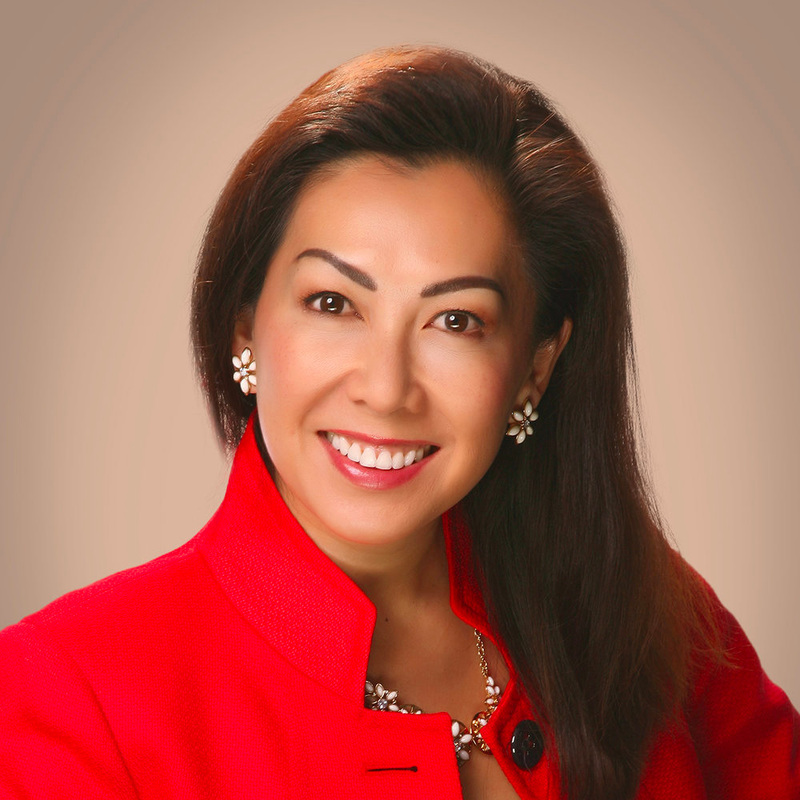 Ms. Lopez oversees market sector strategic planning, marketing, public relations, client relations and business development activities for Snyder Langston, Optym and Snyder Langston Residential. She is a primary point of contact for clients and promotes the synergy and brand consistency throughout all three service lines of the organization. Amber Meshack is the Director of the new Business, Jobs, & Social Responsibility division at Los Angeles World Airports. The Division is responsible for leading efforts to maximize business and job opportunities for local, diverse firms and workers. For the past two years, she worked on the Landside Access Modernization Program (LAMP) LAX, where she managed executive operations and strategic projects, including developing the local hire, workforce, and small, local, and disadvantaged business contracting requirements for the $4.9B Automated People Mover project. Prior to working at LAWA, Amber worked at the City of Los Angeles’s Housing & Community Investment Department, leading strategic planning and policy for the Consolidated Plan, the investment strategy for community development funds the City receives from the Federal government. Amber also served many years with the Department of Neighborhood Empowerment, where she helped establish The LA Neighborhood Council system, the nation’s largest municipal civic engagement program. At Neighborhood Empowerment, Amber developed and managed programs and policy, including administering the Neighborhood Council elections, and establishing the process by which Neighborhood Councils work with the Mayor annually to help shape the City’s $9 billion general fund budget. A third generation Californian, raised in Los Angeles and San Diego, Amber studied English and Public Policy at Cornell University in Ithaca, New York. Sharon Gookin currently serves as the Executive Project Director of the LAX Integrated Express Solutions (LINXS) Constructors joint-venture consortium, where she is responsible for the successful design and construction of the $4.9 billion Automated People Mover (APM) project in Los Angeles, California. The APM contract, which was awarded to LINXS in January 2018, is the centerpiece of Los Angeles World Airport’s (LAWA’s) multi-billion-dollar Landside Access Modernization Program. In her capacity as Project Director, Ms. Gookin oversees all business operation, design and construction programs under the APM contract, which includes the procurement of vehicle manufacturing. The scope of her leadership role at LINXS is such that Ms. Gookin is directly responsible for the successful delivery and execution of the APM at LAX by 2023. Before joining LINXS, Ms. Gookin worked on mega-infrastructure projects across the United States. With over 25 years of experience, she has an impressive background and a proven track-record in both project development and project execution of major infrastructure projects delivered using Public-Private Partnership and Design-Build execution models. Ms. Gookin has managed multiple phases of project development on previous projects, including consultant selection, contract negotiation, geometric approval, right-of-way acquisition, utility coordination, environmental permitting, railroad coordination, and preparation of plans, specifications, estimates and contract documents. Her previous mega-project management experiences have also included the direct responsibility and oversight for contracts, procurement, finance, human resources, payroll, project controls, document control and information technology departments. Ms. Gookin received her Bachelor of Science in Architectural Engineering degree from California State University, San Luis Obispo. She then went on to receive her Master of Engineering degree in Civil Engineering, with a major emphasis in Structural Engineering, from the University of California Berkeley. Dianne Lee is Associate Vice President for the Western Region Construction and Project Management business line of AECOM. As part of her role, she focuses on advancing growth across all markets by driving business development initiatives and building industry relationships while establishing market presence and visibility—creating opportunities for AECOM and securing partnerships with all stakeholders. Dianne has spent over 12 years dedicated to the industry, with her client relationships primarily focused in Southern California. Her areas of expertise are within the Public Agencies, Education, Aviation and Healthcare markets. She has led business development pursuits both internationally and nationally and has been instrumental in the strategy and awards of several significant billion-dollar construction management programs. She credits Guy Mehula, former Chief Facilities Executive of LAUSD and past President of Parsons, Middle East, for bringing out the best in her, which has been instrumental in her proven growth and success. In addition to her commitment to the AEC industry, Dianne volunteers with several causes that are dear to her. From fundraising for the non-profit California Hospital Medical Center (CHMC) in downtown LA, to serving the homeless at the Midnight Mission, she is relentless in her pursuit of giving back. She is also an SMPS mentor and is currently mentoring a CMAA intern from Cal Poly Pomona. She lives by her personal credo: empowerment - regardless of gender, age, race or status.